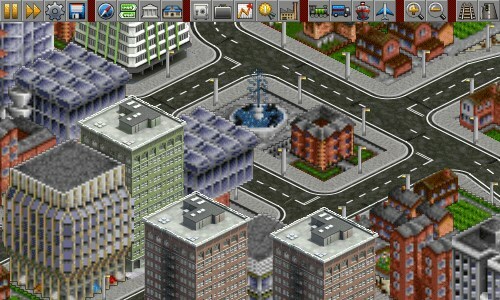 Open TTD is a wonderful new revamp open source expansion of the classic Transport Tycoon Deluxe and with a price tag of free, it’s a great, inexpensive, and fun way to waste your time. This free price tag was brought about by the gaming community’s development of replacement software. 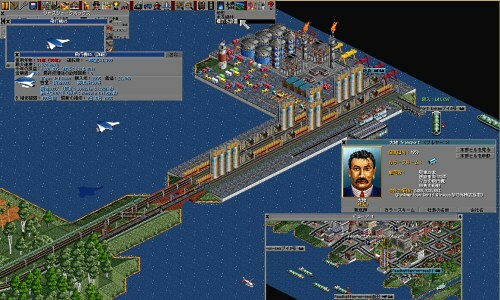 Up until 2009 you had to have the Transport Tycoon Deluxe software which was no longer being supported by developers. But now, thanks to fan devotion, this is a completely free classic transport simulation tycoon-style game that all players can love, so let’s see what the fuss is all about. The first thing that you should understand about Open TTD is that this game is about freedom and choices. You, as the player, are responsible for choosing the best routes to keep your cities supplied with the goods and services they need. But make no mistake; it is still all about the bottom dollar, which you will need to purchase land, to lay out more routes, to supply more goods and services, to make more money. That’s what all tycoon games are about, right? There are a series of windows to go through to micromanage your transport services, so new players are encouraged to pay close attention to the tutorial. Trust me; this will make your overall gaming experience that much better. Once you get the hang of things, your options are limitless. See how your decisions affect the locales you serve as you watch them grow, expanding into vast cities before your eyes. Whether this is your type of game or not, most players agree that the game works very well and has been polished beautifully for today’s market. The game performs well, also, no glitches or lags, which is a supreme bonus for a gamer’s experience. The downside is that the AI isn’t intelligent after all and some players do get bored with what they feel is a constant repetitive never-ending cycle of build infrastructure, connect industries, connect cities, build infrastructure, connect……..and so forth. Still others remark that they can barely put the game down and how addictive that it can be, “Spent nearly 2000 hours and counting. This game never gets boring!” is one player’s comment about Open TTD. Here’s how another user feels, “Best. Game. Ever.” The popularity of this open source game has led to frequent updating and support. Patches are always being made available as the gaming community comes up with ever increasing ways to improve the game and its challenges. Open TTD can accommodate your playing preference by offering you a single player mode, a challenge mode against the computer, a LAN connection multiplayer and an internet multiplayer. There are a multitude of fans for online multiplayer challenges, allowing up to 225 users to compete as teams are divided between the 15 different transport companies. Score the most cash to dominate the playing field. Even though this review is from the Linux version, Open TTD is also available on Windows, Mac OS X, Android, and a few other operating systems. Author is a very passionate about all kinds of transport simulations games, especially railway and trains, both online and on Linux platform, and he also runs his own train simulation website called train arcade.